The Friends of Library and Archives Canada can look back proudly on an active and very successful year, particularly from the perspective of our acquisitions on behalf of Library and Archives Canada. 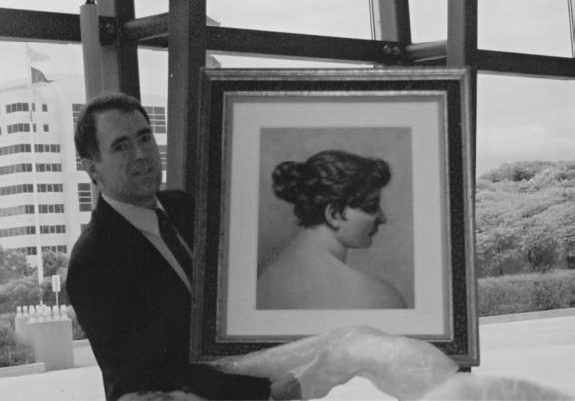 In an original step, we were able to purchase, or assist in the purchase of, two special historic portraits for LAC, one of which (an early portrait of Emily Carr) gave rise to considerable discussion in the media. We also acquired a rare Canadian imprint of an Agatha Christie work in its original dust jacket. Our Annual General Meeting, held at the Gatineau Preservation Centre, gave us the opportunity to appreciate this state-of-the-art building and to visit the important heritage collections held there. In addition, our annual book sale was a great success; our contributions both in cash and kind were significant. We have also been fortunate in resurrecting a successor to the "Savoir Faire" series of public talks, now known as "Kaleidoscope". The successful series provides a forum for the well-informed and dedicated curators to showcase LAC's treasures to audiences of lay and professional persons. I would like to take this opportunity to thank all the volunteers who have worked so enthusiastically to ensure the success of our programs and to help the Library and Archives. I also want to extend my best wishes to all the Friends for good health and happy times in 2007. Now well into our third year as a unique knowledge institution, I am pleased to have the opportunity to share my thoughts with the Friends of Library and Archives Canada. This year we have made extraordinary efforts to widen public access to the entire LAC collection. I am extremely proud of the work that has been done, and I am delighted to pass on some of the highlights to our Friends. One of our most lauded successes was the pilot project for Federated Search, which won the Silver medal of distinction from GTEC (Government Technology Exhibition Conference) for excellence and innovation in enabling and managing e-government in the public sector. Federated Search, or as it is popularly known, "Search All", provides researchers with first-stop access to various LAC resources at once, including the website, the library catalogue, and many archival descriptions. But perhaps more importantly, it allows integrated searching of published and unpublished materials across LAC's collection. Try it for yourself at www.collectionscanada.ca. "You keep it simple, and that's really important. It's important to me not to get lost in the maze." "Much improved over earlier versions. Congratulations. I am almost tempted to make another visit to Ottawa." But the comments have done more than confirm we are on the right track - they have also allowed our team to shape this important research tool to suit user needs, making it a unique "work in progress". Once Search All is completed, we will have introduced at least 100 additional databases and provided many new points of access. 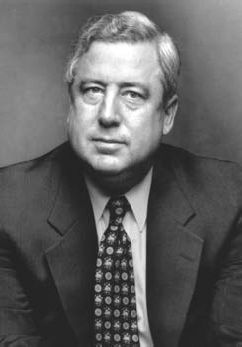 This includes the addition of historical image databases from the former National Library; complete access to our map collection; sound, film and video recordings from the former National Archives; digitized Cabinet Conclusions and Orders in Council; and integrated genealogical databases which will make it easier to find one's ancestors. Search All represents the new reality of our digital age, and the need to respond to clients who need reliable information quickly. In a sense, the world of digital has forced us all to become information managers, and turned all forms of information, both archival and bibliographic, into digital objects. In 2005-2006, LAC digitized more than two million images, and the demand for digitized materials grows daily. In 20042005, users viewed 221 million digital objects through the LAC website. Canadian Intellectual Property Office we launched "Made in Canada", featuring a searchable database of some 14,000 digitized images of Canadian patents. Codex Canadiensis brings home the digital version of one of the earliest manuscripts about Canada. Created in 1700, the Codex is a 79-page manuscript beautifully illustrated with drawings and watercolors featuring First Nations people, landscapes, flora and fauna of the New World. A long awaited and highly praised site features our Aboriginal Documentary Heritage - including photographic and manuscript records from the "Red and Black Series" which contains records of Aboriginal peoples from 1872 to the 1950s; 'Treaties, Surrenders and Agreements'; and an extensive section on Aboriginal soldiers during World War One. These are just a few examples, but all of these achievements have been made possible through continued collaboration, among LAC staff, our clients, the library and archival community, and of course, the volunteers who continue to represent our integrated institution with passion and enthusiasm. I look forward to this ongoing partnership. 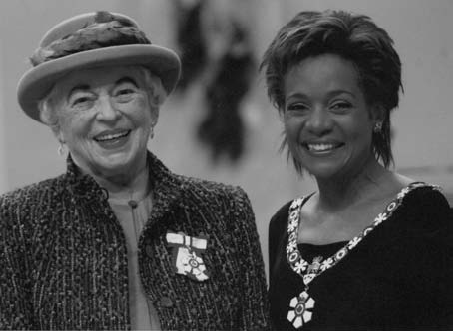 Grete Hale with Her Excellency, the Right Honourable Michaëlle Jean, Governor General of Canada on the occasion of her reception of the Order of Canada. We extend warmest congratulations to Grete Hale, first president of the Friends of the National Library, who was recently appointed to the Order of Canada. A well-known businesswoman and philanthropist, Grete served as chair of her family's frozen-food business, Morrison Lamothe Inc., for 21 years. She has also donated her time to many organizations, including the Community Foundation of Ottawa, the Salvation Army, CANSAVE (an international charity), the University of Ottawa, and the Ottawa Council of Women. She is an active member and honorary Board member of The Friends of Library and Archives Canada. Congratulations, Grete, on receiving the Order of Canada, a well-deserved honour, and very best wishes from all your Friends! The Friends' Annual General Meeting for 2006 was held at the Gatineau Preservation Centre on June 8. Before the meeting, archivists and curators offered tours of the building. The Friends were able to visit many areas of this impressive facility and to see the archival material kept there. The paintings and portraits kept in vertical storage in a huge, environmentally-controlled room, were especially memorable. At 5:15 p.m., Vice President Kevin Burns called the meeting to order. In his opening remarks, Kevin reviewed the achievements of the Friends over the past year. We co-sponsored the book launch for Ron Cohen's Bibliography of the Writings of Sir Winston Churchill. We assisted Library and Archives Canada with public programs and hospitality. Friends volunteered a total of 5,550 hours of their time and talents to helping the organization. Kevin, who has been acting president during Ron Cohen's temporary absence, then turned the meeting over to Ron. Doug Rimmer, Assistant Deputy Minister, Programs and Services, spoke on behalf of Ian Wilson. He thanked the Friends for all the years of volunteer service and for the acquisitions they have made possible, which have greatly enriched the collections of Library and Archives Canada. At the end of the business meeting, Friends had a chance to see three of the acquisitions they have made possible. Eva Major-Marothy presented two portraits. 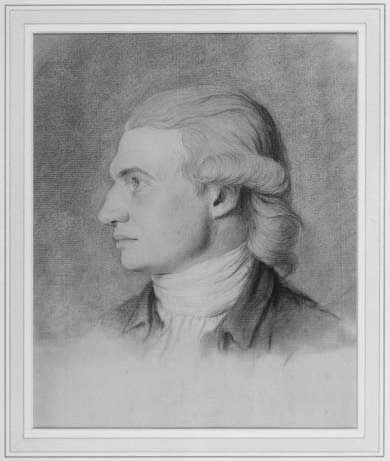 One was a drawing of Jacob Mountain, 1776, by Thomas Kerrich. Jacob Mountain served as the first Anglican bishop of Quebec. The Friends purchased this portrait for the Library and Archives. Eva also presented a self-portrait of Emily Carr, created in 1899 when Emily Carr, aged 28, was studying at the Westminster School of Art in London, England. The Friends assisted in this purchase. Pat MacDonald presented the first Canadian edition of the Agatha Christie book The Mysterious Affair at Styles, also acquired with help from the Friends. Wanda Noel made a special presentation to Kevin Burns to thank him for his active year as president, filling in for Ron Cohen while Ron was completing his bibliography. displays the Emily Carr portrait for the audience. 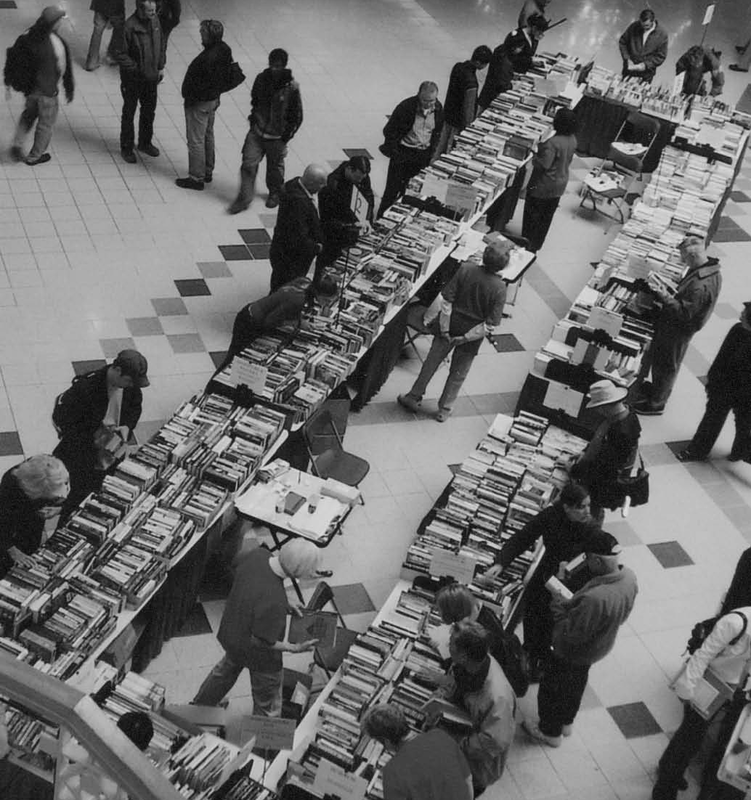 The Friends' annual used book sale was held September 29 to October 1, 2006, in the St. Laurent shopping centre. 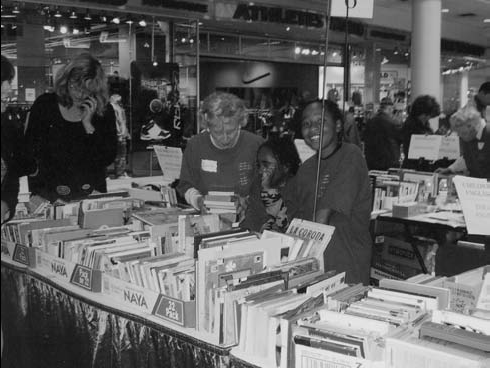 In what has become a tradition, eager booklovers happily perused the wares spread out on long tables in the mall, and enthusiastic volunteers from the Friends handled the sales. 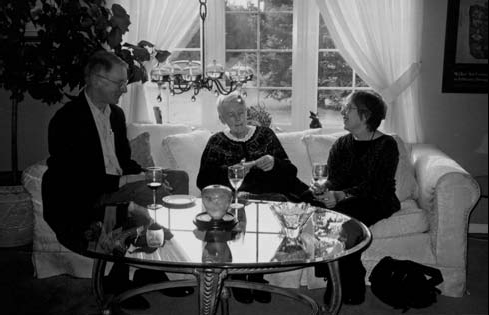 Above Left: Friends president Ron Cohen, Librarian and Archivist of Canada Ian Wilson, Ruth Wilson, Elizabeth Mundell, chair of the Book Sale Committee. Above Right: Meet Cathie Rochon (the Friends' office couldn't run without her!) and Kathleen Shaw, operations manager for the book sale. 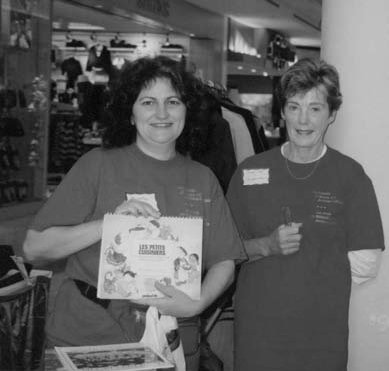 Above Left: Connie Moonie and two of her young helpers at the Children's Section. 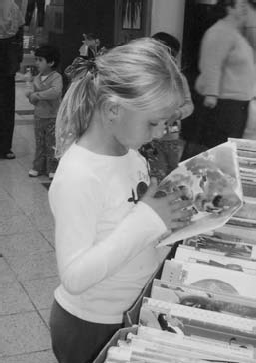 Above Right: A keen young reader. This magnificent portrait drawing, generously purchased in May 2006, by the Friends for Library and Archives Canada, is of significance to the national portrait collection from several points of view: the subject, the artist and the drawing itself. The subject of the portrait, a young and remarkably handsome Jacob Mountain (1749-1825) was described as follows when he was in his 70s: "as perfect a specimen of the human form as I ever beheld; erect, standing above six feet, face what might be called handsome, eye mild and penetrating, features well set and expression benevolent, limbs fully developed and symmetry of the whole person complete." Pleasing as it may be, the drawing was not acquired for the subject's physical attributes. Jacob Mountain is a key figure in Canadian religious and political history. Appointed in 1793, he was the first Anglican bishop of Quebec and thus the founder of the Church of England in Canada. He spent over thirty years in Quebec, establishing not only the official administration of the Anglican Church but also a branch of the Mountain family which would remain in Canada. Mountain's task was rather a difficult one given the power and influence of the Roman Catholic Church in Quebec and the unwillingness of the colonial government to give him full support for establishing the Anglican Church and thus cause a rift with French Canadians. Mountain was quite dogmatic in his religious and political opinions, but he was also a poet and classical scholar. In 1777, a year after this portrait, he published his only book of poems, entitled Poetical Reveries, gentle and plaintive reflections on the early death of his father and the end of a love affair. The artist, Thomas Kerrich (1747-1828) was also educated at Cambridge. Upon graduating in 1771, he travelled abroad on a scholarship and spent four years studying in Rome. His time there coincided with that of the small circle of British and other artists grouped around the legendary Henry Fuseli. The unusual perspective of the Self-portrait, recently acquired by the National Portrait Gallery in London suggests the influence of Fuseli, whose work is marked by dramatic compositions and unusual poses. Kerrich subsequently became the Vicar of Dersingham and the Principal Librarian to Cambridge University. He was also a Fellow of the Royal Society of Antiquaries. A significant collector, he bequeathed an outstanding collection of early royal portraits to the same society. In addition to capturing Mountain as a "perfect specimen of the human form", Kerrich also hints, I think, at the poet. The drawing itself is a superb example of "le dessin à deux crayons" used since the 15th century and particularly popular in the 18th. The paper, identified by the Strasbourg Bend & Lilly watermark with the initials: LVG, was produced by the Dutch papermaker Lubertus van Gerrevink whose studio was active from 1690 to 1890. Kerrich's sensitive and skilful application of black and red chalk, along with his use of the creamy white of the paper for highlights, allows us to examine, stroke by stroke, the construction of this beautiful portrait. In addition to capturing Mountain as a "perfect specimen of the human form", Kerrich also hints, I think, at the poet. We are grateful to the Friends of Library and Archives and their discerning Acquisition committee for adding this significant piece to the LAC portrait collection. 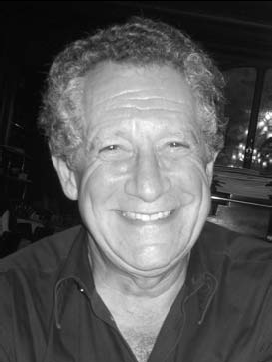 After nearly 25 years of diligent work, Friends' president Ron Cohen's definitive Bibliography of the Writings of Sir Winston Churchill was published by Thoemmes Soames and a Foreword by Sir Martin Gilbert, Churchill's official biographer, has been an enormous project, a real labour of love for Ron. The Friends were pleased to co-sponsor the book launch, appropriately held on the anniversary of D-Day, June 6. The Librarian and Archivist of Canada, Ian Wilson, spoke at this event, and Ron entertained us with a lively and humorous talk about the project and about Churchill. Warmest congratulations, Ron, on this most impressive publication. 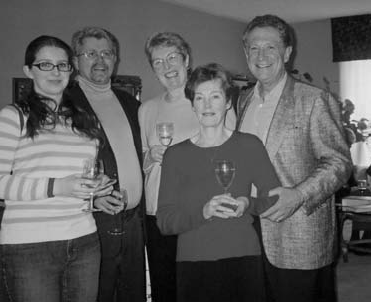 In their beautiful Manotick home, Ron and Wendy Cohen welcomed the Friends to the annual of Canada Volunteers Appreciation Brunch on Jan. 7, 2007. As usual, this was a delightful and elegant occasion - an opportunity for Friends to socialize together and to sample some wonderful refreshments. Ron extended kind words of welcome and thanks to the volunteers, and Peter Levick, Director General, Communications, brought official greetings from Library and Archives Canada. Many, many thanks to Ron and Wendy for their gracious and generous hospitality. 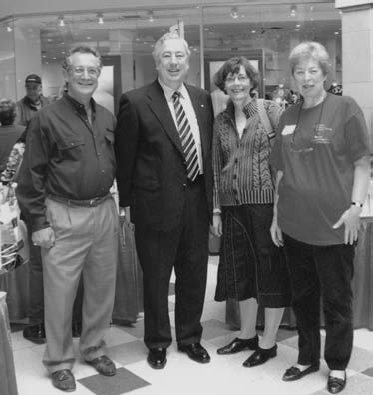 Above left: Peter Levick, Director General, Communications with his daughter, Laura; Elizabeth Mundell, chair of the Book Sale Committee, Kathleen Shaw, chair of the Program Committee and host Ron Cohen, President of the Friends. 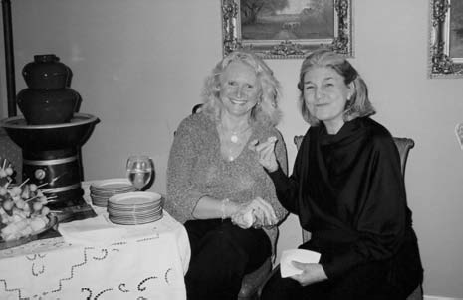 Above right: Alice McClymont and Maria Calderisi enjoy the wonderful refreshments. Note the chocolate fountain in the background. Jay Atherton, Naomi Roberts and Peggy Atherton share a quiet moment.